People will become reluctant to join your list if they can’t see any significant benefits by doing so. By offering them discount for your product, you will make them more willing to join your list, because in this way, joining your list will mean saving a lot of money. This strategy is very effective if you apply it to ecommerce website. When you have many products to sell in your website, you just need to offer a price cut for your products to entice your visitors to become your subscribers. This is another way to entice your visitors to join your list. By offering them free access to premium membership website, you will be able to attract more people to subscribe into your list. However, the premium membership that you offer to them should have decent reputation and it should be fairly popular. If not, they won’t see any benefit from your offer. Of course, you can also make money from this strategy. What you need to do is simply open a kind of contest and offer a regular prize for your subscribers. This is a good idea since your subscribers will have a chance to win the prize when they subscribe to your list. This is particularly effective if you give them good and valuable prize. Although it is a good thing to give them physical product as a prize, you can also give them digital product for this strategy. It will depend on what type of product you’re going to promote to your list. When you entice your visitors with regular product, they might not want to join your list. But, when you entice them with exclusive and premium product that is not available anywhere, you will be able to attract your visitors’ interest toward your mailing list. This strategy is very effective especially if you have a good reputation in your niche or if you have a well-known brand. Best of all, this premium product can also be used as a preselling tool for your promotion. The best way to introduce your mailing list to your visitors is to let them know about it the first time they visit your website. Thus, the use of a pop up squeeze page is a good idea to convert as many visitors as possible. However, if done incorrectly, you will end up annoying your visitors. Instead of subscribing to your mailing list, they will choose to leave your website. This is, of course, a bad result that you need to avoid. So, in order to make your strategy to work properly, you need to insert special offer in your pop up squeeze page. This offer must be limited time offer that your visitors can’t easily pass. Tell your visitors that if they subscribe to your mailing list, you will give them regular surprises that will keep them happy with your list. People usually become curious if you tell them something like this. Therefore, it is a good idea to compel them to subscribe to your list. Many big name marketers are using this strategy to attract more subscribers to their mailing list, as well as to keep them engage with their list. This strategy is proven to be effective if you really deliver what you promise to them. This is perhaps the most effective strategy in converting your visitors into subscribers. If you have a successful product in the past, and you’re going to promote your new product, you can offer your paid product for free in exchange for your visitors’ name and email address. In this way, you’re setting up an irresistible offer for your visitors. Most of them won’t want to let this opportunity to pass by. Of course, you don’t want to do this forever. Thus, limiting the period of this offer will significantly increase the sense of scarcity of your offer. Those are 7 easiest ways to convert your visitors into subscribers. If you want to increase your conversion rate, you need to attract more subscribers to your mailing list and focus your promotion on your list. 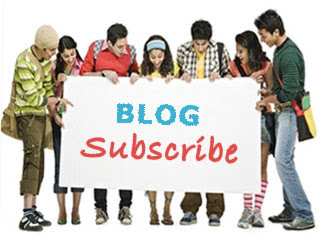 Those tips will help you to attract more subscribers to your list. Sathishkumar Varatharajan is an Internet Marketer from Salem, experienced in helping businesses to achieve their goals in a cost effective way. He launched Kudo Metrics and Guest Post Services in an effort to help all the small and medium sized businesses to achieve their targets and increase their profits.